India was one of the better performers after the global financial crisis, and has done well despite opening out in a period of great international volatility. This book asks if this was due to luck or to good management. How much did macroeconomic policy contribute and did it do as much as it could have, on a reform path that was not standard? Are there any lessons from the Indian experience for the rest of the world? Senior Indian policy economists, market participants, and researchers address these interesting and important questions. There are those who think financial reform has gone too fast - relaxations in foreign borrowing norms exposed firms to external shocks. Volatile capital flows impacted markets, although more liberalization of risk-sharing equity compared to debt flows, was effective in reducing domestic risk. But there are also those who think reform was too slow - choking financial development: many markets and instruments that could improve domestic financial intermediation and reduce risk were held back. Analysis suggests policy was able to find the correct timing, pace and combination of reforms and of caution, but improvement is always possible. Luck and inherent strengths of the economy helped absorb both policy mistakes and external shocks. 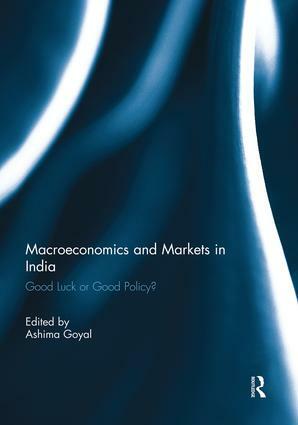 This book was originally published as a special issue of Macroeconomics and Finance in Emerging Market Economies. Ashima Goyal is Professor at the Indira Gandhi Institute of Development Research, Mumbai, India. She has numerous research and policy publications, is editor of a Routledge journal in her research areas of Macroeconomics and International Finance and has received many fellowships, national and international awards. She is active in the Indian public debate, and has served on several boards and policy committees.